Our Great Grandmother Valentina Brattisani Quilietti had several sisters, and her siblings were born in either Parma, Paris or Edinburgh. Mary Brattisani was born in Edinburgh in the year 1878. She is our link to this branch of the Fusco family. 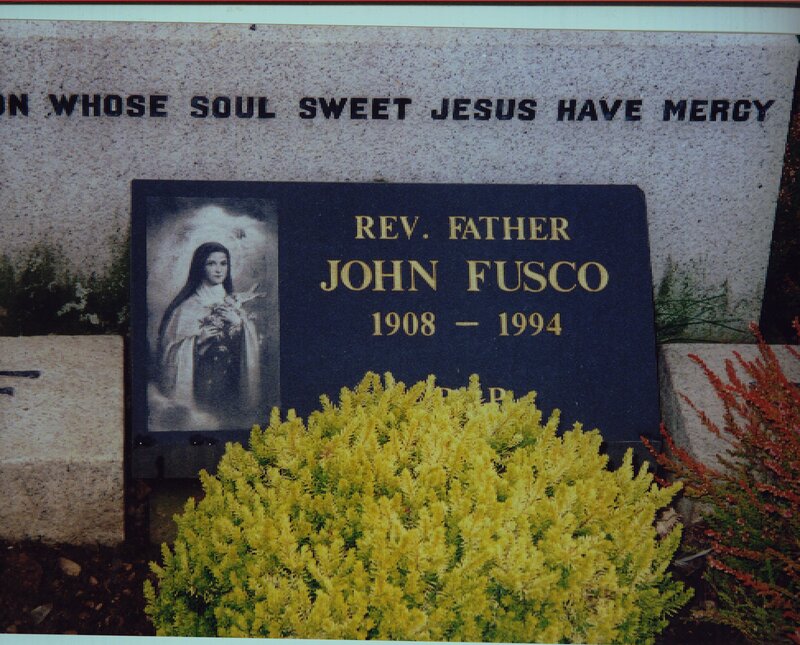 John Fusco was of Italian/Irish descent. His father was Luigi Fusco and his mother Elizabeth [Chavine] McGuinness. John had one other brother Joseph. 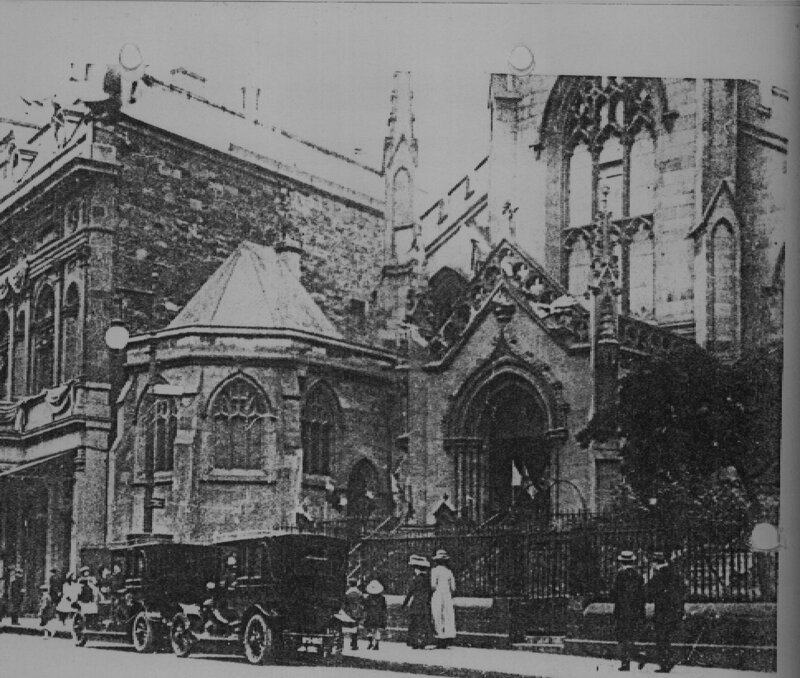 Mary Brattisani and John Fusco married in St. Maray’s Cathedral, Broughton Street, Edinburgh on25th October 1898. They started off their family life in the High Street in Edinburgh’s Old Town which at that time was a festering den. They soon moved down to Portobello which became their home for many years, first in the High Street and then to their house in Bath Street. Their marriage was blessed with thirteen children of which twelve survived. 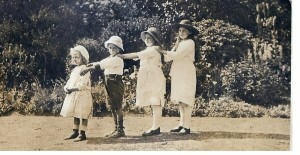 Fusco sisters, Minnie, Mary, Theresa and Kathy at the front. FRANCIS FUSCO, their son, born in the year 1918, has helped us solve some family history mysteries and put names to the unidintified photos sponsored by our cousin Angela Giulianotti. Thanks also to our other cousin, Louise Costella for her part of the great identification run. The children of Maria Brattesani and John Fusco are as follows. ElIZABETH VALENTINA FUSCO was born in 1901. She married a handsome lad whose family were also steeped in Italian history, also coming from the area of Picinisco that her own Fusco family had originated. His name was Carmine Demarco. 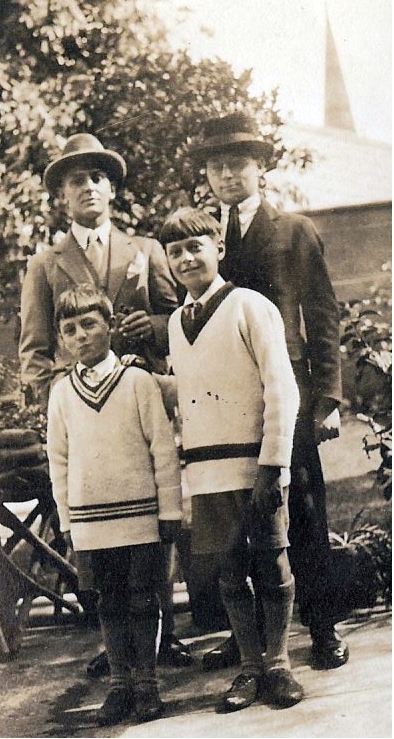 They had three sons, Richard born 9th July 1930 , Michael born 1931 and Louis born 1934. GIUSEPPE FUSCO was born on 27th April 1902 at 63 St. Mary’s Street, Edinburgh. 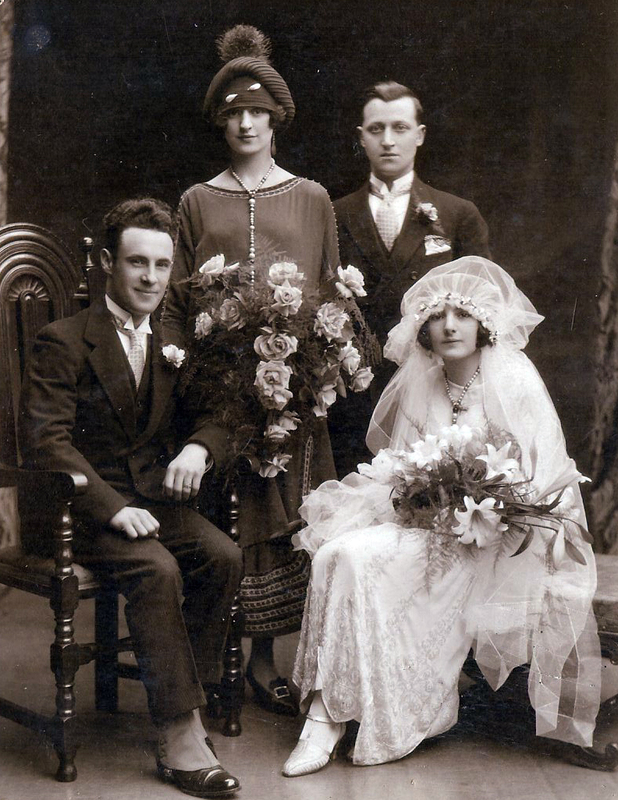 Affectionately known as Joe, he married Angelinaa Franco on 17th July 1924 at St. Ninian’s R.C. 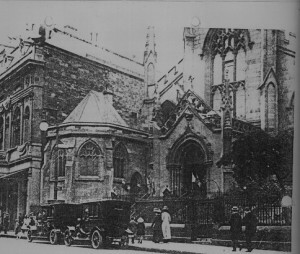 Church in Portobello. They had two sons and three daughters. I know about Monica who was born in 1904 and Francis who was born in 1942.
thank you John Breen for your comments regarding the children of Joe and Angelina There was also John Fusco and Marie Fusco. 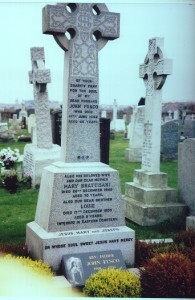 Both John and Francis have passed away within two weeks of each other in 1909. 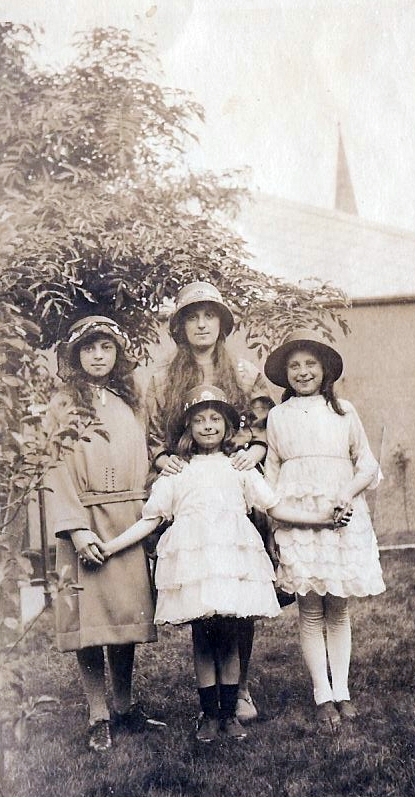 Monica married into the Weiczorek family and her sister Marie into the Reglinski family. They both still live in the Restalrig/Craigintinny area of Edinburgh and remain close friends with John Breen above mentioned. LUCIA FUSCO was born on 6th January 1904 at 151 High Street, Portobello. 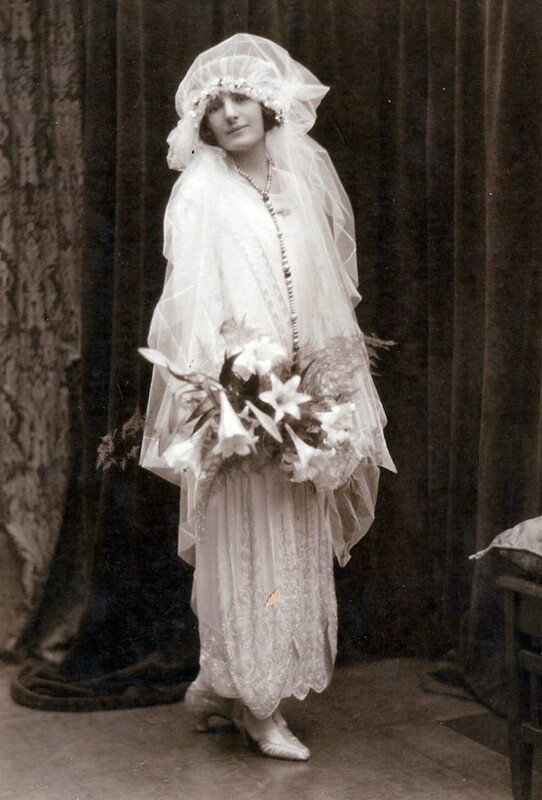 She married Edward Dunne Maher on 6th April 1926. Lucia on her wedding day 1926 They had two sons one, Giovanni, died in infancy. Lucia died on 4th January 1994 age 90. MARY FUSCO born 10 June 1906 at 151 High Street, Portobello, Edinburgh. She married Luke Connor on 2nd January 1936 at St. John’s R.C. Church, Portobello, Edinburgh. Of their children Bobby emigrated to Australia where he still lives today. There was also a daughter who became a nun Sr. Margaret Connor. Margaret died only two years ago in 1910. 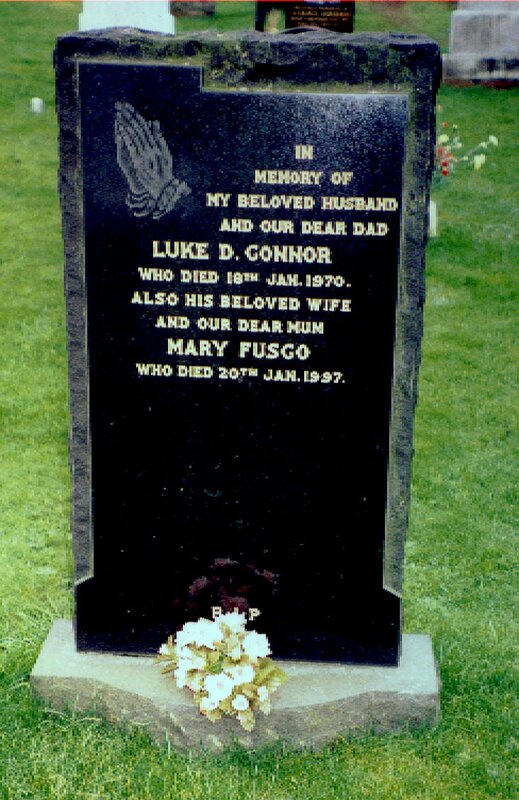 Mary Fusco died on 20th January 1997. The Reverend Father died in 1994. TERESA FUSCO, born on 25th February 1912 at 151 High Street, Portobello, Edinburgh. Teresa married John Lawrie Thomson on 23rd October 1935 at St. John’s R.C. Church, Portobello, Edinburgh. ANTHONY FUSCO, born 20th May 1914 at 151 High Street, Portobello, Edinburgh. He married Dorothy Malcolm on 13th December 1941 st St. John’s R.C. Church, Portobello, Edinburgh. They had one daughter Kathrine Fusco, known as Kate. Kate married William Anderson and they have two sons. They still live in Edinburgh. Anthony also married Robina Smith. He died on 15th June 1958. 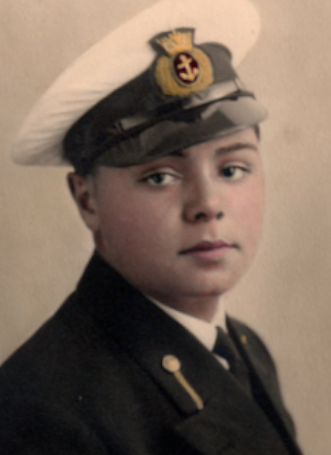 KATHLEEN FUSCO, born on 19th August 1916 at 151 High Street, Portobello, Edinburgh. 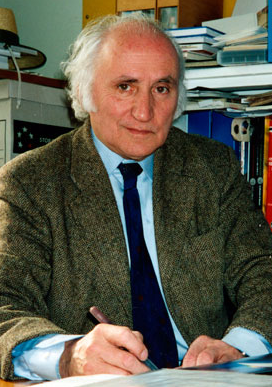 FRANCIS MICHAEL FUSCO born 27th September 1918 at 151 High Street, Portobello, Edinburgh. Francis married Mary……………..They had no children. Francis was in the Navy during the War years. The image above shows him as First Mate on the Queen Elizabeth travelling from Gourock to New York. Francis has helped us with the website, now age 93. 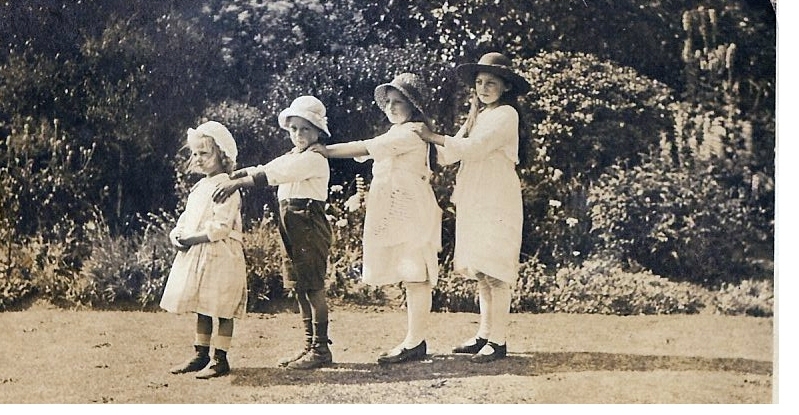 He still has a sharp mind and has identified many of the lost photographs inserted into our website. Thank you again Francis. He is photographed here on 17th May 2011 with his nieces who are the descendents of Louisa Brattisani and Pietro Costella. born on 24th December 1923 at 9 Bath Street, Portobello, Edinburgh. He married Teresa Waddie on 14th June 1944 at St. Cuthbert’s R.C. Church, Slateford Road, Edinburgh. 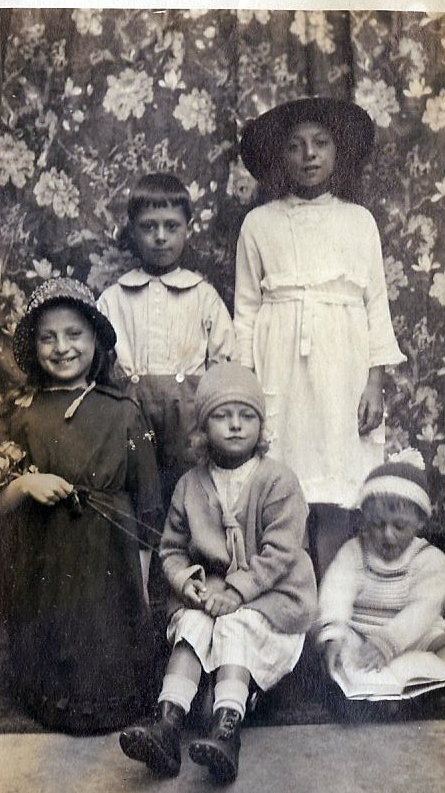 Stanting at the back is Elizabeth Fusco, daughter of Mary Brattisani . Her husband Carmine Demarco stands at her side. The beautiful bride is Lucia Fusco. The date was 6th April 1926. Her husband was Edward Dunn Maher. This photograph in my view depicts the wealth of this family at their status at this time. It is a wonderful photograph. but you will remember the Demarco Mansion on the Harbour where there would be great gatherings and dances. You would know of the fish and chips and the ice cream parlours which were where the youths of the late 50s and early 60s would meet. 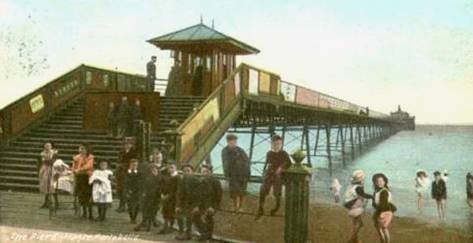 These memories would be a part of Portobello for years to come and part of Portobello History. I have been dating a FUSCO for nearly two great years. We reside in Winter Park Florida. His parents are from New York.. Maybe we can connect.. The Fusco family were large and cosmopolitan. Their branches are spread throughout the globe. I will be happy to share whatever I have with you. Thank you for taking the time to leave your comment. hi there, i’m a member of the Fusco family who live in Belfast Northern Ireland. My grandfather was Alberto Fusco who came to live her many years ago. He had a fish and chip shop on the famous Falls Road in Belfast. I think he came with with several members of his family. Indeed, there are many Fusco family connections throughtout Ireland today. Does anyone know of any fuscos that married into the copeland family in Belfast? 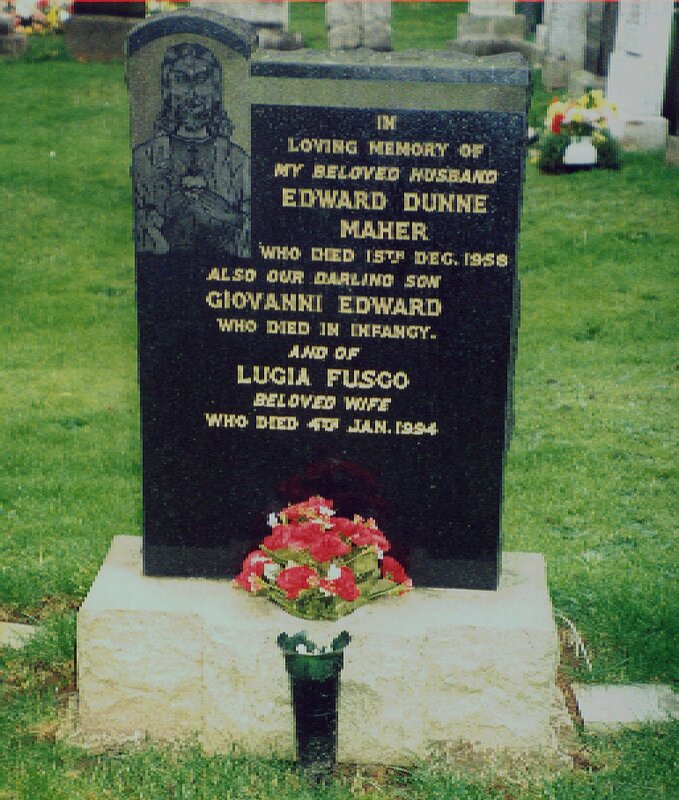 We believe my husband’s grandfather Edward had a mother who was a Fusco? Poster comment. There has been interest in the Fusco family from Ireland. So lets see what happens now. Check out linda martins episode of ‘who do you think you are?’ All about the italian ghetto in Belfast in the early 1900’s. Thanks will try and find this episode….. I noticed Helen has left a comment saying her son has been doing research on Italian Chip Shops in Dublin, in the early 1900’s, and i am in fact trying to find out who had been the owners of which shops, etc. My Capaldi Family lived in Dublin, between 1902-abt1923 in Chancery lane, just around the corner from the famous Giuseppe Cervi. 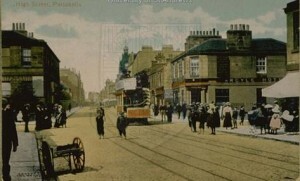 They also lived in Edinburgh before 1902 and travelled back and forth several times. He was a travelling Musician, but seemed to be a Restaurater in Edinburgh and a Confectioner in Dublin. Family say that he had his own Restaurant/Chippy in Dublin, and i would really like to find out more. Any help is most appreciated? Hi Jamie, have sent you an e.mail directly to your address. Philomena Fusco (Minnie), was never a nun! She moved to England for a short period having eloped to Gretna Green with Alec Donnelly, a soldier, but soon returned to Edinburgh. They had no children. Her only link with religious life of which I am aware is that she and my aunt Kathleen acted for some years as housekeepers for a catholic priest (the late Fr Walter Glancy) at St Peter’s RC Church in Morningside, Edinburgh. Mary Fusco has a surviving son, Bobby Connor, who lives in Australia. She also had a daughter who became a nun, Sr Margaret Connor, who died in 2010. 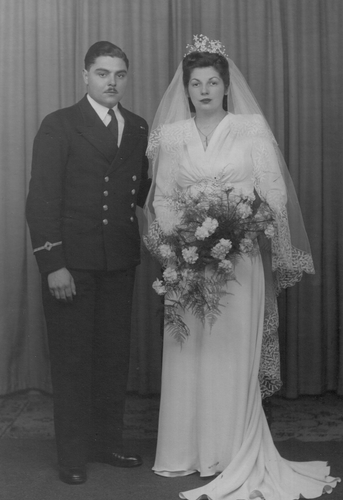 Noel Fusco (my late father who died on 16 February 2010) married Theresa (known as Tessa) Waddie (nee Accettola – born 18 September 1923 & died 24 January1998) and moved to Sheffield where they ran a very successful fish & chip business known as Queenie’s Fisheries. The shop was named after the ‘nickname’ of Tessa’s mother – please see the comments below about her line. Noel & Tessa had three children; Constance Maria (now Connie Federici born 19 June 1946 – married Giuseppe Federici (a Fossombrone family) who between them have three unmarried children, Marco, Leo and Carina), Noeline Fusco (born 12 November 1949) and me, John Gerard Fusco (born 4 February 1964). Noeline lives in Edinburgh and I live in York. Neither of us have married. Katherine (Katie) (married name Mignanelli – husband Louis, a soldier from Plymouth) – children Johnny (married Helen Booker and has a daughter named Maria, all of whom live in Sheffield) & Louise (married Michael James – both now deceased). Michael & Louise James had a daughter, Claire-Louise who I believe lives here in York , quite close to me! I hope you can make use of this additional detail. 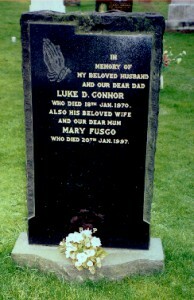 If you’d like some further photographs of Fusco family members, please do let me know and I will e-mail them to you. gentili amici, mi chiamo lucia fusco – mi ha fatto piacere trovare la vostra lucia. la mia familglia proviene dalla provincia di latina, italia. ho dei parenti fusco in canada. è bello che ci siano tanti fusco nel mondo. the 2nd world war when my father.Also my grandarents were born in cerasuolo. Iam not sure if any of the irish families are related. I would like to hear from them. Hi Helen, I spoke with you many years ago. I am Helen Miller(Fusco) from Edinburgh. My family came from the cowgate. Great Grandfather Antonio Fusco married Sarah Cairns 1880 had 3 kids Agnes(died age 13, Dominic born April 11th 1884,and my grandfather Antonio 25 jan 1887. GG Antonio died 1887 after his last child was born, sarah remarried and became Greenan and had girl called sarah greenan. I have all the info on my grandfather and have been to Villa Latina and Picinisco it was amazing, standing in the same register house that my GGGrandfather stood in and signed birth certificates, its the same one since 1793 etc. but I have been searching for Dominic since birth, he is in no cencus. 1891 sarah is a widow staying with her mum and no kids, 1893 she has daughter with Samuel greenan, 1901 Antonio shows up with his gran aged 14 under name Fisco, no Dominic but he is the informant on his mothers death certificate in 1900 and his signature has Aldershot next to it. never heard of again. My Grandfather was in Army under James Ramsay(Because of Italian name or under age) he was in army till 1920, so I presume Dominic was also under an alias name, but I don’t know what, I have tried war graves, visited Edinburgh castle everything I can think of. but he may have remained under his alias. Antonio was in Scots Guards surely he would have been dominic’s next to kin and vice versa at the time, with mum and dad being dead. but my gran would have ended up being Antonio’s. the only way I see me finding out anything about Dominic or his alias would be if he was Antonio’s next to kin on early army records. I cant search army for Dominic as I don’t know what his alias was, rumour is that they were in same regiment and in the same area in France when Dominic died and its supposed to be France, so this is before my gran came on the scene so surely the Kin was there, or were alias’s both separate and not known as brothers. I have been looking for 15 years and don’t know where else to go. did he marry was there kids in England at Barracks etc.no death record. please see if anyone out there has the answer. Love Helen. Will post this Helen and I will be happy to help if I find out any more. I wonder if you can help me, my mother passed away a few years ago unfortunately suffering from Alzheimer’s. I tried to get some information about our family history a few years before she passed but unfortunately I cannot be sure that anything she said was completely accurate. We come to dead end with a gentleman known as Tony Fusco who was involved with a dance hall in Edinburgh in 1930s, she also said he had a brother who was a priest. Can you tell me if this sounds like credible memories. My father is supposedly Antiono Fusco who was aged 4 at the time of this census. Long story. What a fantastic website.My grandmother Maria Franco was the sister of Angelina Franco.My mother remembers her mother staying with her sister when there first child was born. I believe my great grandparents Carlos Franco and Andreana Fallone had an ice cream parlour on Easter Road.